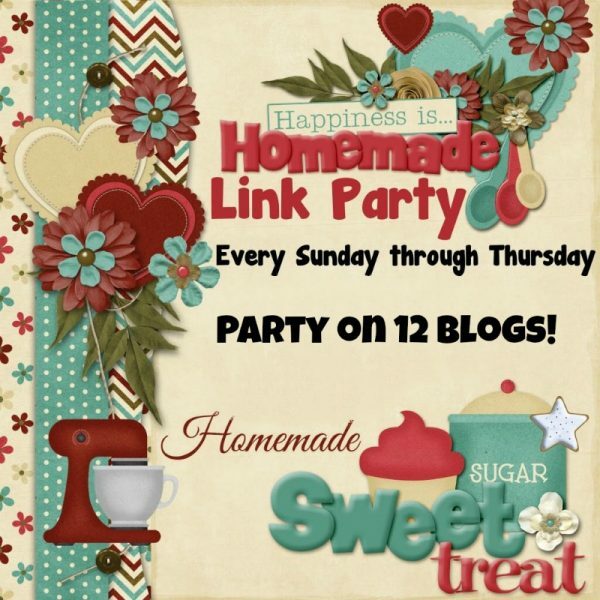 Welcome back to Happiness is Homemade Link Party! Every Week it gets more difficult to only pick four posts to showcase. October brings us Fall, Halloween and even Thanksgiving for our fellow Canadians. This week is a celebration of all things Halloween. Be sure to check out all of the fabulous features! When you have, head over to visit some of this week’s link ups – they’re sure to get your creative juices flowing. Chocolate Spiders are fun and a perfect activity to enjoy with the little’s. Plus they include noodles so totally healthy. for Skull Drink Stir Sticks for a creepy Halloween Bar Cart. I love making sure my Bar Cart is seasonally Friendly. EEK it’s almost Halloween and who doesn’t want a fun sign for their Halloween Decor. Candy Corn Cocktails because we even Adults need Halloween Treats. It’s always fun to share some Candy Corn. Thanks for the great party. I hope you have a great week! Thanks so much for hosting! I hope you had a great weekend! Thanks for featuring our candy cane cocktail!